J-Quizzle Gives the Bizzle: Love(less) & Hoodbunnies FINALE Rundown Stevie J with his own 'bus'! Love(less) & Hoodbunnies Rundown: Ok...Wow! So much to say about last night's finale episode! Where do I start? I know...let's go with the non-factors first. Rasheeda & her MANager! 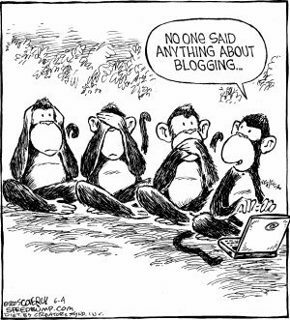 Mmm......that's about it. LOL! 'Cept K.Michele had me crackin' up with that impression of Rasheeda's eye baggage! LOL!!! She's perty but she do got some crazy bags! She STILL don't believe K.Michele got beat! Just because you see somebody in a relaxed environment with an audience all the time does not mean you KNOW them & how they act behind closed doors. Most people act different in relationships, especially when there's no audience! Of course dude is on his best behavior b/c of the accusations against him & his desire to make K.Michele out a liar. I wouldn't mess with Rasheeda no more if I was K.Michele. That ain't no kinda loyalty. & what's friendship without loyalty? Like Erika, let's move on! YAAAY! I'm so happy to see that she is making an actual attempt to move on & was the first to be honest with Scrappy with the 'relationship' thing. 'You can't fire me, I QUIT!' LOL! Then she's finsta holla at an Italian dude?!? A realtor?!? You go, girl! Who wants to lug a thug when you can be carried by a stud?!? I'll tell you who...Buckie aka Shae wants to. She loves Scrappy's dirty draws & his broken language, ya heard? Hurt her lil feelings...& her big hair...HA! Then it showed Scrappy bein' spoon fed by his crazy Mapa. <--That is not a misspelling. I am now convinced that Mama Dee is not his mama but his papa...I'm just sayin'...Her 'pimp/player' MENtality is a little suspect...& I really couldn't believe Erika would let her daughter be alone with them two hoods. I would be afraid of what's she's learning & NOT learning all at the same time. 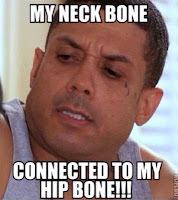 Speaking of learning...Benzino & his no neck havin' self learnt...yes, learnT that Loosey Goosey, Karlie a lesson fo' sho'! 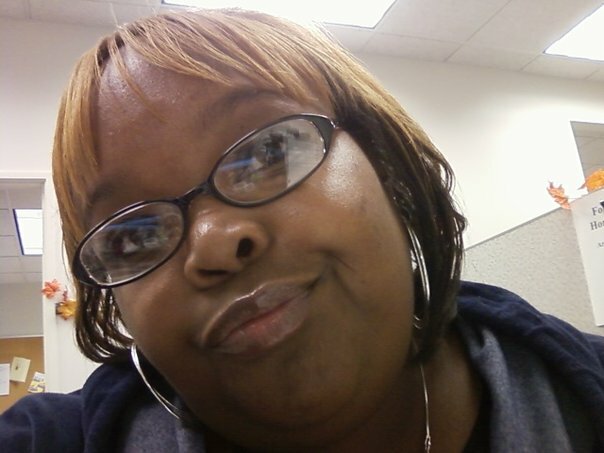 How she gon' get mad when he snatched that ring back & SHE was the one talkin' bout keepin' her options (legs) 'open'?!? I'm sooo glad he felt her out & THEN pulled the ring out....& let her know, "I liked it & was gon' put a ring on it! BUUUUT..." Man...he might need to put an APB out on his neck bone but his back bone is fully intact! 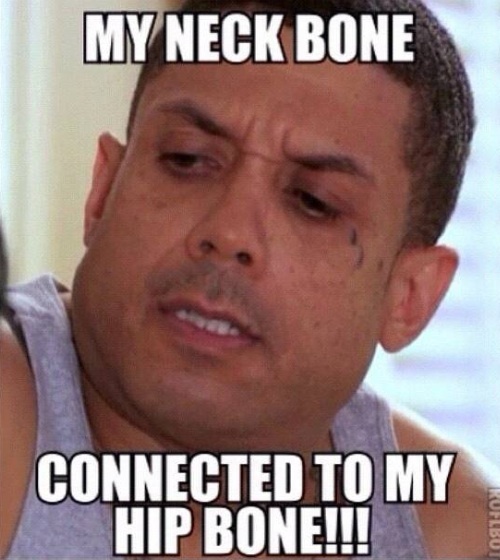 Way to go, Bobblehead...er...Benzino! Now on to the train wreck. Yes, Joseline said,"He had ses wit mah bes' freend & I wuz dere...I washed!" WHAAAAAT in the NASTY, INFESTED world is that?!? These people better be gettin' tested for HIV/AIDS cuz they are just ASKING for some sort of virus with the mess they're doing! And Sicko J with that t-shirt on that read 'I AM GOD'...WRONG! You are God-LESS!!! I'm sure God hasn't struck him down yet because He's got something much more punishing than that in store for that serpent. Then all that bus talk...I can't. You ain't drivin' no bus, nooka! YOU AIN'T GOT NO LICENSE! !<--In my Martin voice. E'erytime we see him in a car he's on the passenger side like the scrub he is or he's slithering away from wherever he's at. That thing he had in the studio with hiiiimm...Y'all thought K.Michelle's teeth were big...CHIIIIIILD! Ol' girl look like she could bite a hole in a doughnut, honey! She has to have a TEAM of dentists for those mugs! Her teeth upstaged e'erybody in that scene! Speaking of stages & scenes, that scene at Mimi's 'client's house' was sooooo staged. How the idiot know she was there & who shows up at somebody's client's house to discuss relationship issues? Then Stupid J did it again, "You look too cute to argue." Passive-aggressive sociopath is the correct diagnosis, I do believe. I really hope Mimi is sincerely done with him. It's kinda weird that Joseline was the homewrecker, but Mimi is LITERALLY The Clean Up Woman. LOL!!! Welp, I guess that'll do us for L&HH Atl this season, but don't get too comfortable, more ratchetness is to come on September 10th with Basketball Wives LA!!! GYEAH, BOYEEEEE! HOLLA!! BRAXTON BREAKDOWN: LONG LIVE TAMAR!!! God's Version of Angry Birds...Not So Fun.